I can't be the only person in the world whose socks mysteriously disappear in the washing machine only to reappear months later in unexpected places... or not reappear at all. Needless to say that pairing socks for a family of three is near impossible in our house, so we end up buying enough pairs to clothe a small village. 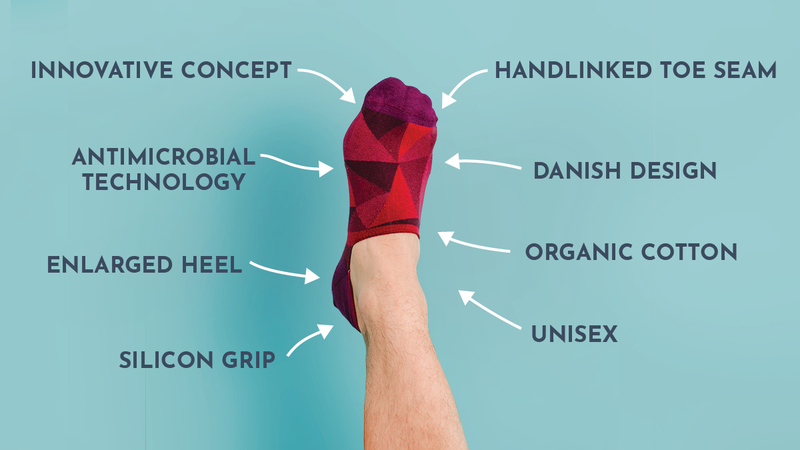 As, I said I can't be the only one - because Danish brand Solo Socks came up with a new concept that is super simple, yet absolutely genius. As the name suggests, they do not package socks in pairs. 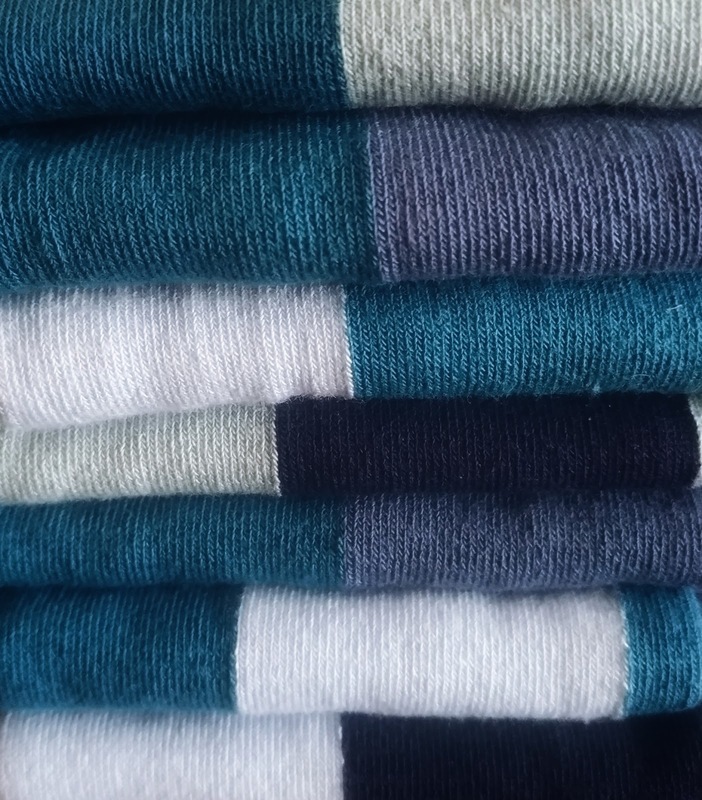 Instead they sell them in sets of 7 single organic cotton socks designed to mix and match. There are no pairs, just different socks that match all the other socks in their pack because they have the same colour scheme. Isn't that brilliant? 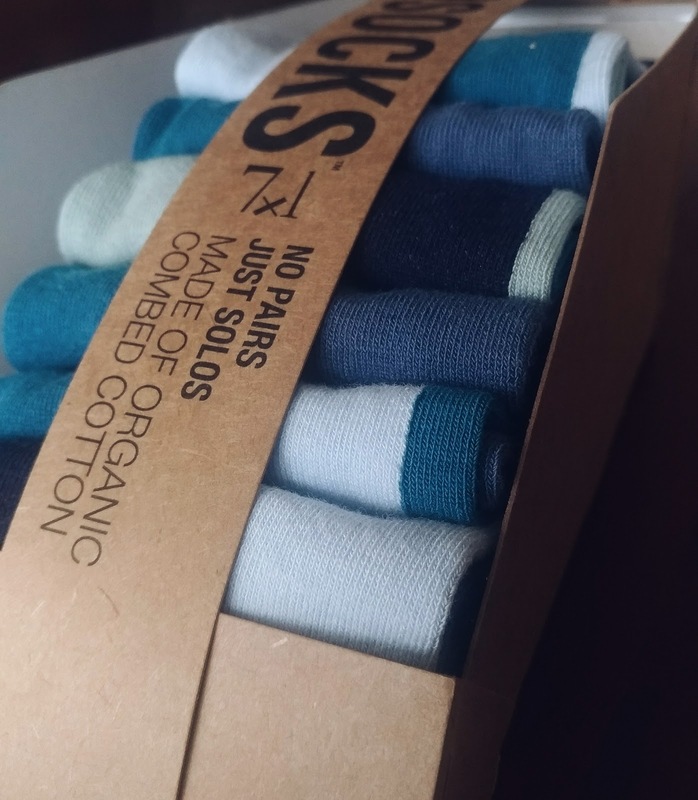 I got a pack to try out, courtesy of the brand, and I've been really impressed by their fine, super soft organic cotton fabric, and how they look exactly the same after several washes. Also love their unisex colour scheme and modern print. (I got the "Holscher" print, pictured). Solo Socks have launched a crowdfunding campaign on Kickstarter for their new No-Show collection. These short no-show socks are perfect for summer thanks to their light organic cotton fabric, antimicrobial technology and cheerful prints, as well as the fact that they are designed to precisely follow the line of your sneakers and be a discreet complement to your summer looks. Support the Solo Socks No-Show Kickstarter campaign and get some for yourself, I promise you'll love them! 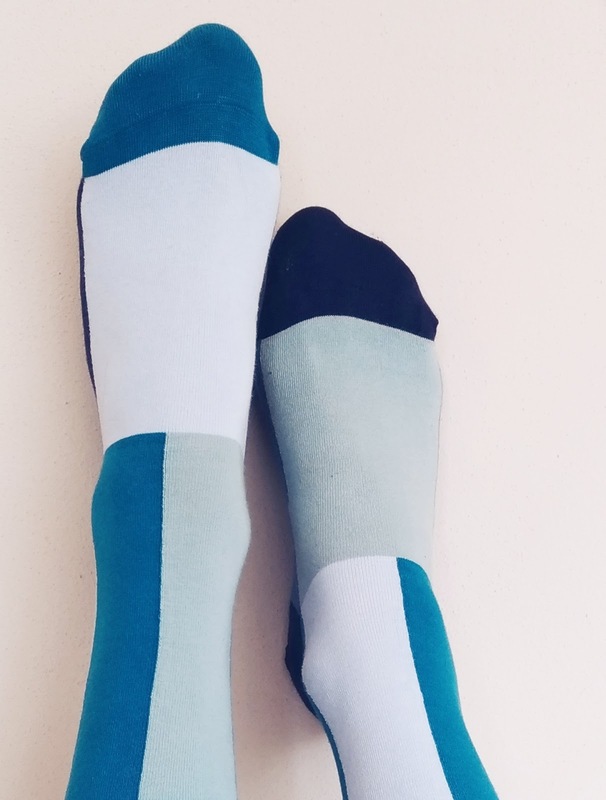 Solo Socks is the proof that sometimes all it takes is a simple but clever idea to make our lives easier and eliminate some of the hassle we deal with every day. Because who's got time for pairing socks when we can go on an adventure instead? Robin Hoods Apparel - Choose a Way to Give Back!